Provide comfort for the family of Ozie George with a meaningful gesture of sympathy. It is with great sadness that we announce the peaceful passing of Ozie George on Friday, March 29, 2019 at the age of 75 years. He was beloved by many for his incredible talent as a musician, husband, father and leader in the Trinidad & Tobago community here in Calgary, Alberta. 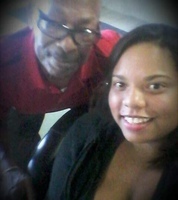 It is an understatement to say that playing the steel pan was his hobby, it was his passion. He was one of the very few who had vast knowledge of interpreting music and performing to the highest degree in his profession. 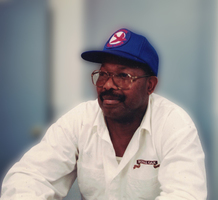 Ozie is survived by his wife of 37 years, Sherry Rudder; his children, Shauna (Gillespie) George, Jay Rudder and Justin Rudder (Anelia) and Cheryl George. He also leaves behind his granddaughters, McKayla and Adriana. Born in San Fernando, Trinidad & Tobago, Ozie migrated to Canada in 1969. He worked several years with Cardinal Coach Lines and then followed up with the City of Calgary as a bus driver in which he retired in 2013 but his first love was always for music specifically the steel pan which was applying theory, teaching others and refining his own craft. He had a great love for his culture and lifestyle of T&T that together with Sherry Rudder they opened up the T&T Organettes Canadian Cultural Association in which they could share the cultural experiences with the Calgary public. 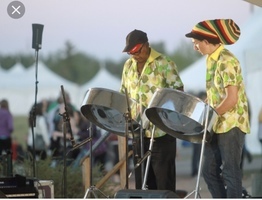 That translated into an active steel pan band that performed in multiple functions that include the famous Calgary Stampede for over 25 years to cooking authentic Caribbean food and participating within Globalfest. It has also acted as a home away from home for newly landed Trinidadians within Calgary. There is a lasting legacy that Ozie had created through the course of the organization that has touched so many people’s lives and he will not be forgotten. A Celebration of Ozie’s Life will be on held on Saturday, April 6, 2019 from 1:00 pm - 5:00 pm at the Winston Heights Community Hall (520 - 27 Avenue N.E., Calgary, AB). We encourage you to share your most beloved memories of Ozie here, so that the family and other loved ones can always see it. You can upload cherished photographs, or share your favorite stories, and can even comment on those shared by others. Provide comfort for the family of Ozie Hamilton George by sending flowers. My sincere condolences to you and your family Sherry. God Bless and RIP to my father Love Paul Michaels / Beata Michaels , Ashley Michaels ( grand daughter ) , Hailey Michaels ( grand daughter ). In 1984, I had a dream of starting a steel band in Calgary for teens and adults. Ozie was instrumental in helping me obtain the first set of instruments for that band, which started with 6 band members and later grew into Calysto Steelband, a band that has more than 25 performers. Over the years, over 100 teens and adults have learned to play steel pan in Calgary on the pans that Ozie helped me obtain. This band was able to grow only because of Ozie's support and unfailing assistance whenever we needed more instruments or a tuner. Calysto Steelband is still in operation today, but has new equipment. However, Ozie's old steel pans are still in constant use. In 2010, I moved to New Brunswick and have since started the Balysto Steel Band Program for the Saint John School District. The kids in this program continue to use all of Ozie's old band equipment and love every second of it, noting that the same equipment is also used by the Aged to Perfection Senior Citizens' Steel Band in Saint John as well, which is comprised of seniors aged 50 to 89 who arrive weekly with canes and on walkers and then dance out of the band room leaving all of these behind for me to delivery to their various homes. Ozie's spirit will live on forever and I will miss him dearly. Bless you Ozie may you rest in peace. 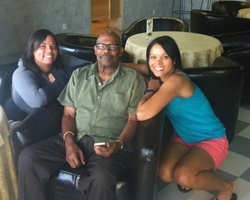 Our family sends love and deepest condolences to Sherry and all of Ozie's family..